Sun’s out, t-shirts out! Let everyone know you're a proud Blockhead or sport a throwback New Kids On The Block T at the gym and beach! 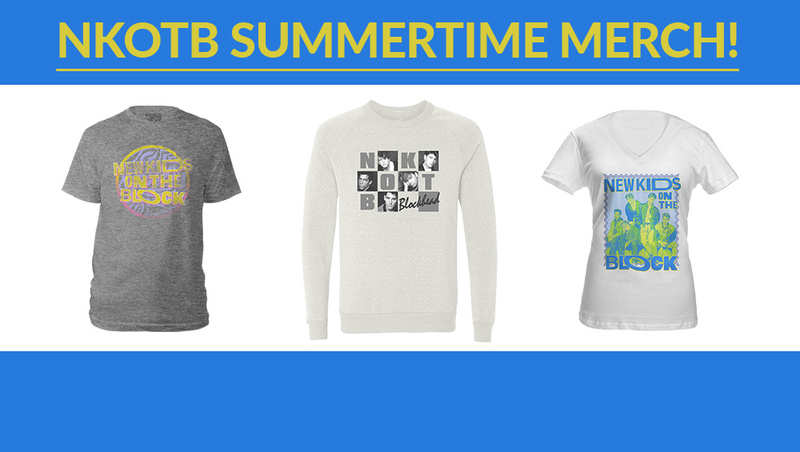 You'll find these new t-shirt designs, along with just-released summertime glassware at the NKOTB Online Store. Active Block Nation members, remember to login first, then click the Store button to activate your 10% member discount. Not a member? Join now! © 2019 New Kids On The Block. All Rights Reserved.